This store bought costume for women entered our 2017 Halloween Costume Contest. 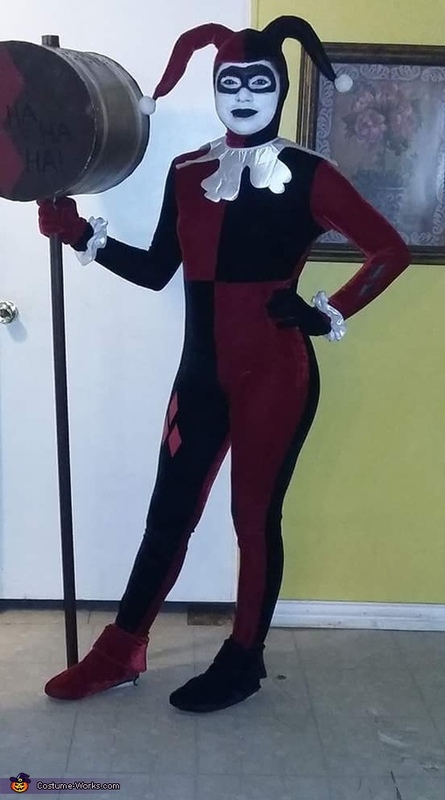 I am wearing the classic Harley Quinn constume, I've decided to dress up as her because I love her, hopefully next year I will be able to do Poison Ivy. I didn't have time to make the costume, so I bought it off of Amazon. I did make the mallet though, all from scratch! It was so much fun! Makeup is a little scary looking because it was a cheap brand.